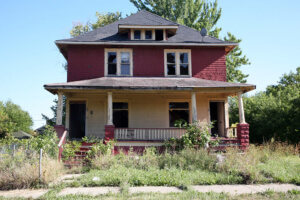 Vacant Property Insurance in Olympia - All Insurance, Inc. Minimize your risk when you own a personal or commercial property that is vacant. By contacting All Insurance, Inc. in Lacey, WA you ensure that you’re going to get the widest range of coverage options for your vacant commercial property. We’re committed to our commercial property owners and have years of insurance experience insuring these unique properties. o This covers the inside & outside of your building, even claims that include crime. o This coverage includes the building and contents, outside signs, valuable papers, equipment breakdown, business income, theft and more! o This coverage includes medical payments coverage with no deductible and optional add-on coverage for hired and nonhired auto. To get a quote for a vacant personal or commercial property insurance policy in Olympia, simply give the commercial insurance agents at All Insurance, Inc . They have years of insurance experience helping owners of commercial property place this unique risk with the right insurance company.